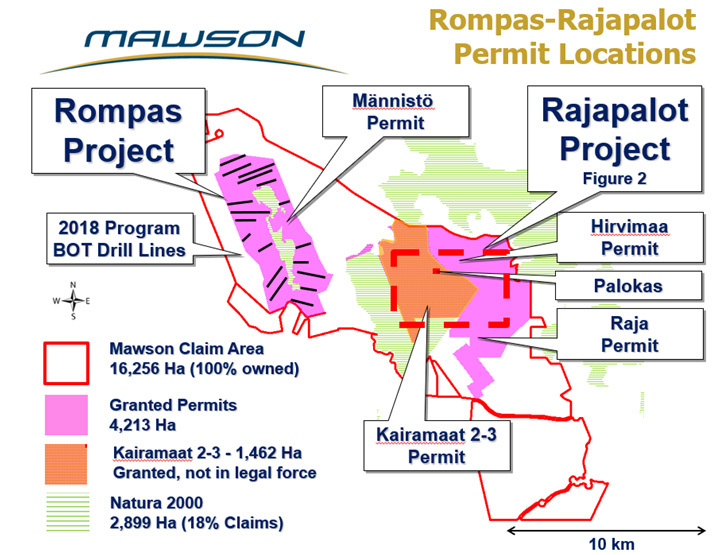 Vancouver, Canada — Mawson Resources Limited (“Mawson”) or (the “Company”) (TSX:MAW) (Frankfurt:MXR) (PINKSHEETS: MWSNF) announces an update on drilling and rig movements at its 100% owned Rajapalot gold project in Finland. Drill program on track to complete 15,000 metres this winter. According to the Finnish Mining Act, after the first renewal period of up to 4 years, all exploration permits in Finland can be renewed in 3-year maximum intervals, for a combined total of 15 years. The Kairamaat 2-3 exploration permit area of 1,462 hectares is part of Mawson’s larger ground holding of 16,256 hectares, of which a total of 4,213 hectares are granted.Kairamaat 2-3 was first granted to Mawson as exploration claims in October 2011 under an older version of the Mining Act, and then renewed in June 2014 and January 2018. On 12th January, 2018, the Finnish Mining Authority, TUKES, renewed the Kairamaat 2-3 exploration permit, according to specific environmental assessments performed by Mawson, for an additional 2 years.As a part of its permit decision, TUKES issued an enforcement of the earlier exploration permit conditions to allow exploration work to commence immediately.As is standard in Finnish legislation, all administrative decisions are appealable. Three appeals were filed against the TUKES decision to the Northern Finland Administrative Court on the exploration permit decision with requests for abrogation of the enforcement order. The company has just been advised that the Administrative Court made an interlocutory judgment in the enforcement order matter and decided to abrogate TUKES’ enforcement order and therefore drilling at Kairamaat 2-3 has been finished 2-3 weeks earlier than initially planned. Winter drilling on snow cover is only permitted within the Kairamaat 2-3 area.The next steps are to work with all authorities over the coming months to ensure drilling can continue in the Kairamaat 2-3 next winter. Figure 1: Permit areas at the Rompas-Rajapalot Project in Finland. 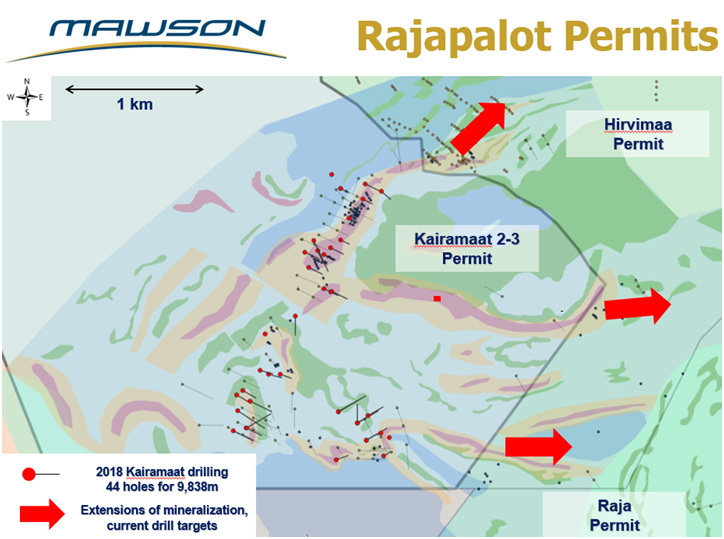 Figure 2: Rajapalot project showing drill holes completed to date and extensions to mineralized horizons currently being drill tested.